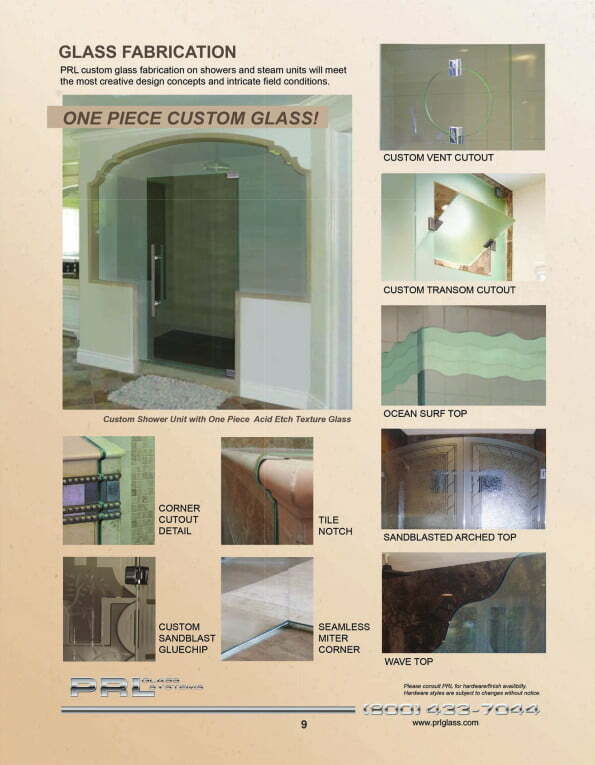 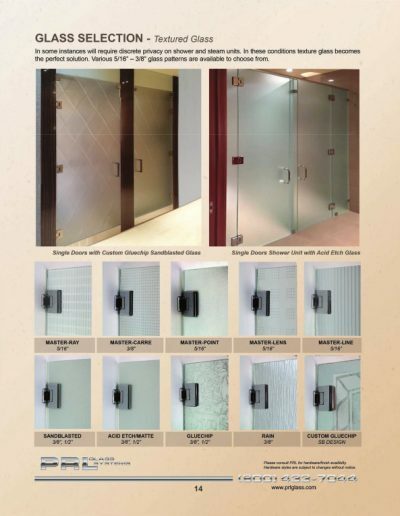 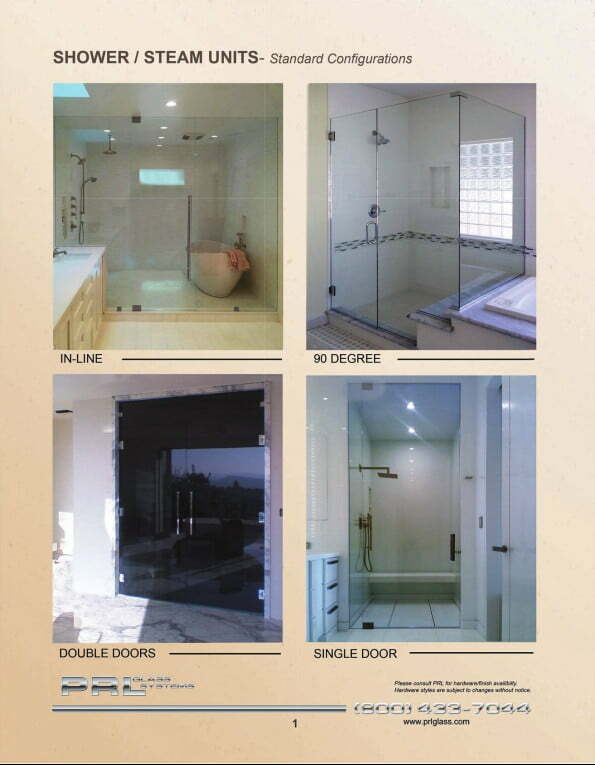 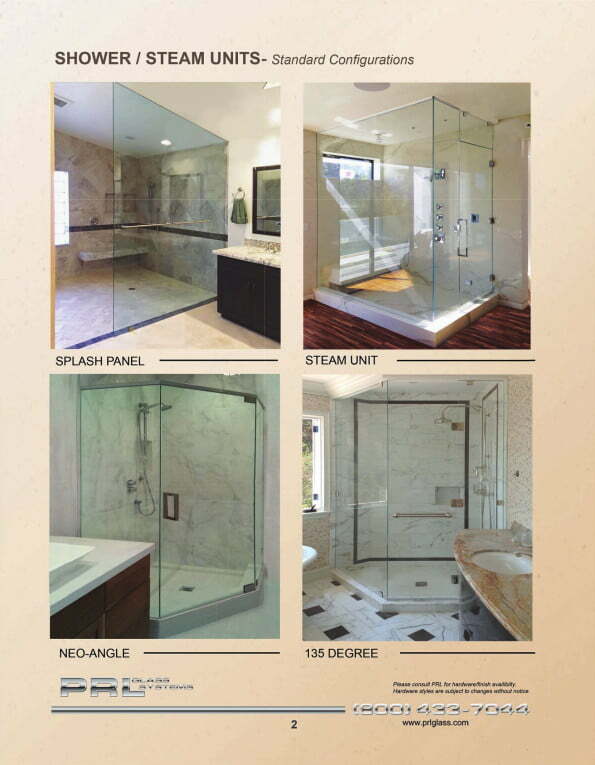 Shower Glass is by far the best and superior glass product due to its permanent shower glass coatings. 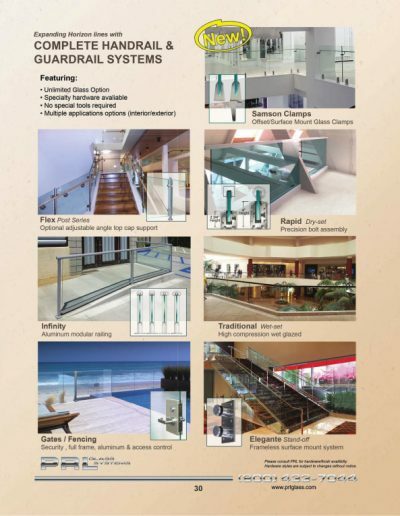 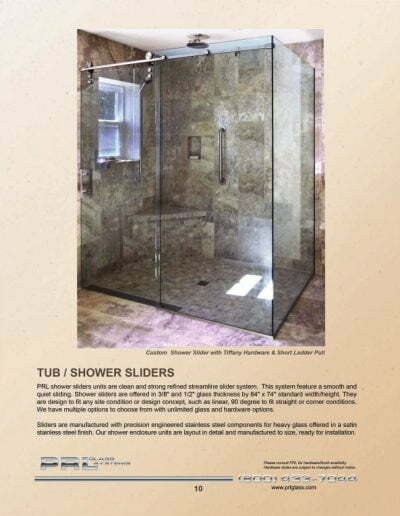 Unlike coatings applied to the glass after fabrication, the durable, transparent Shower Glass coating is fused to the surface of the glass during the glass manufacturing process. 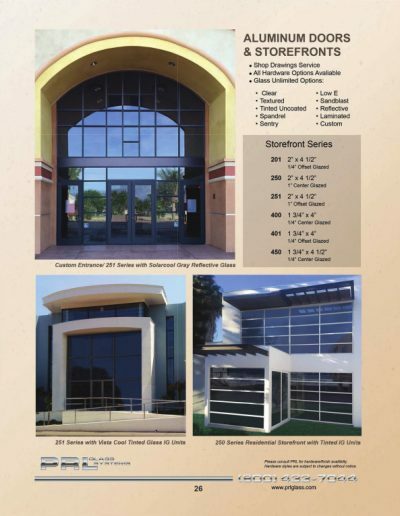 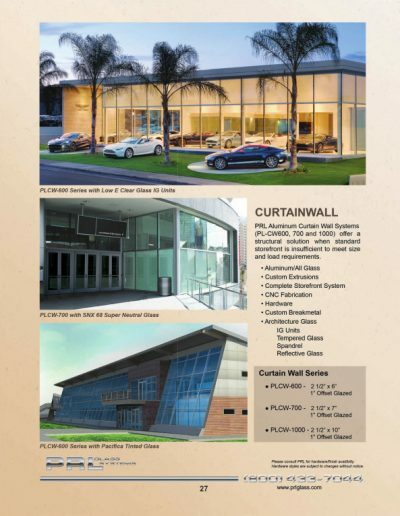 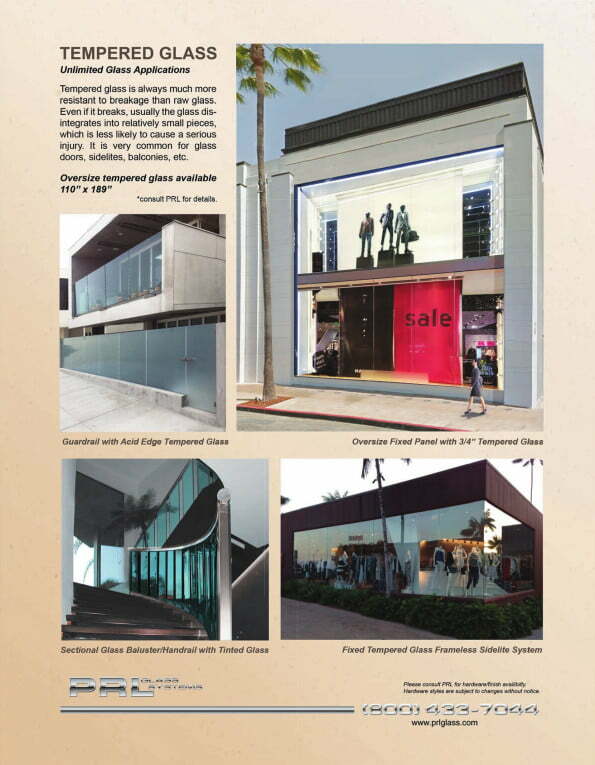 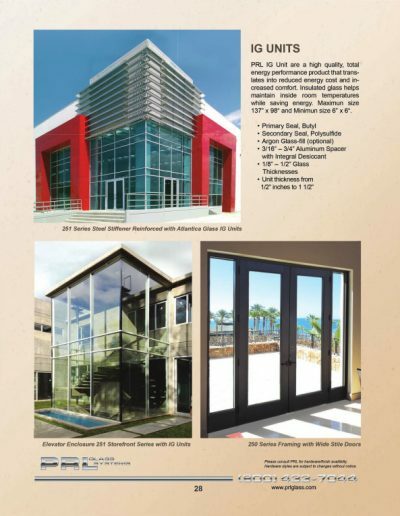 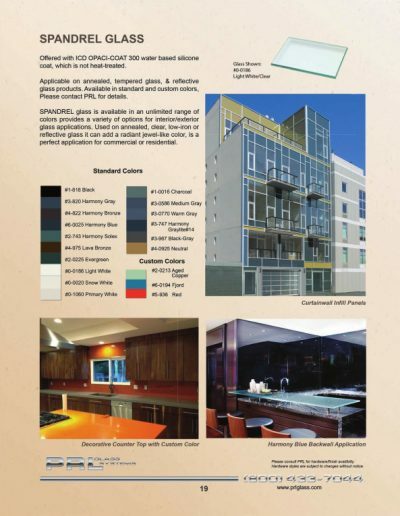 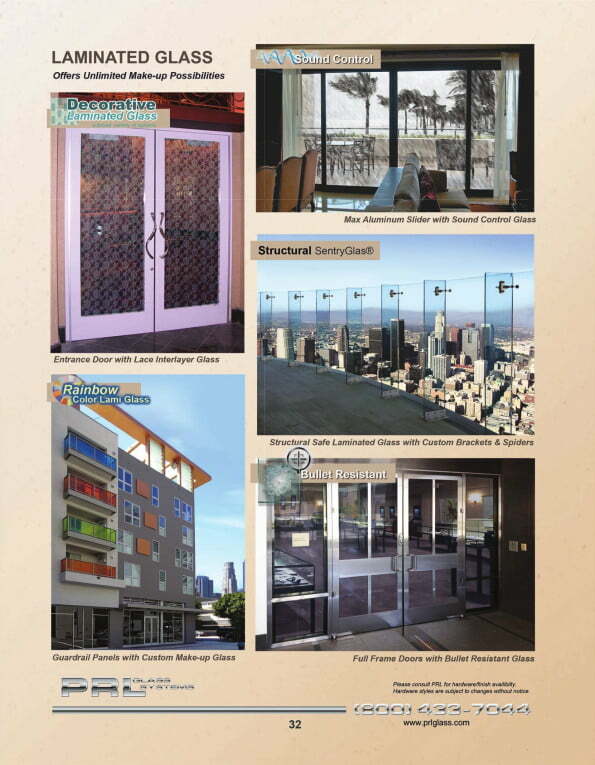 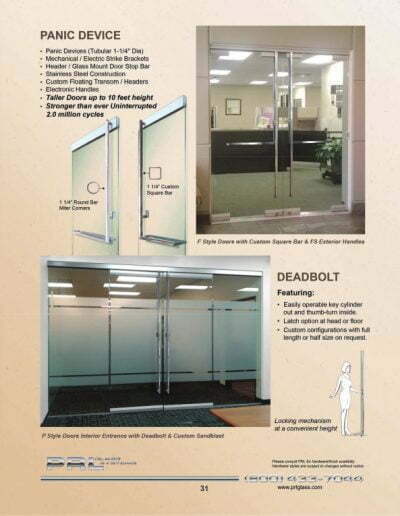 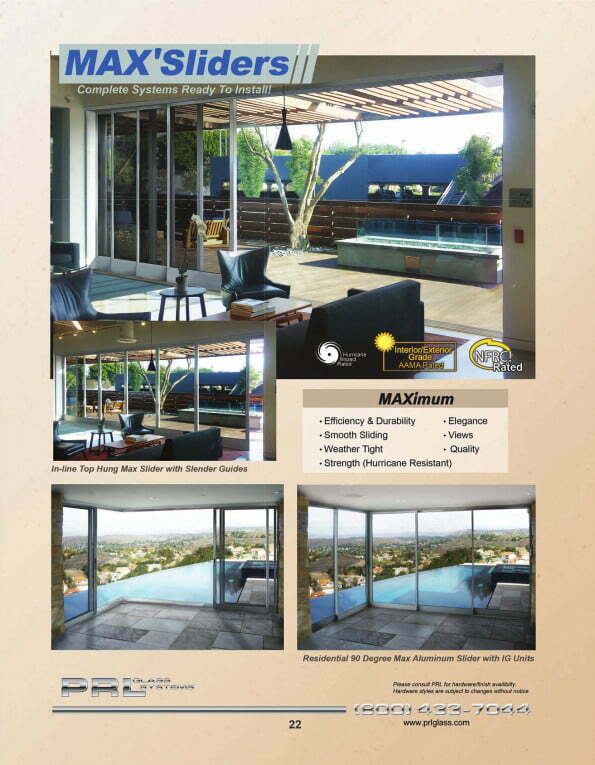 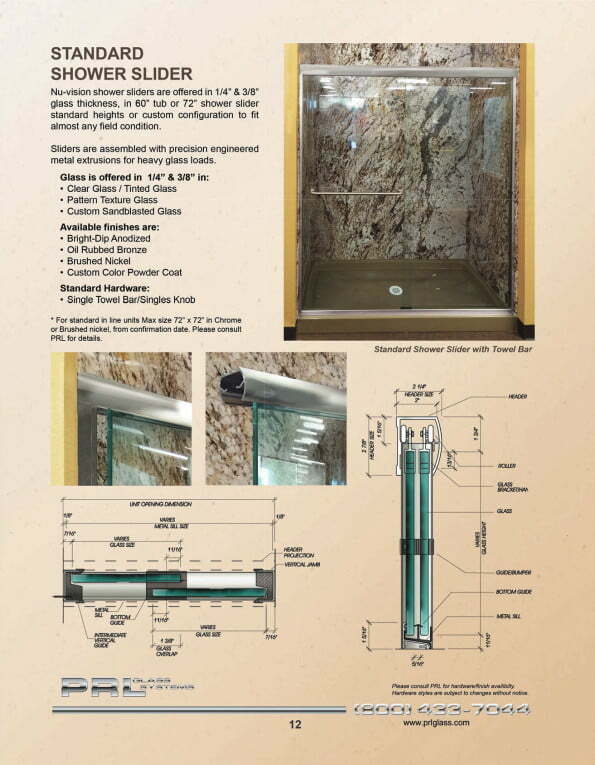 The glass has been tested 1,000 hours in a high heat and humidity accelerated glass corrosion test, at temperatures of 140 degrees F and 95% relative humidity, the conditions similar to prolonged exposure in a shower enclosure. 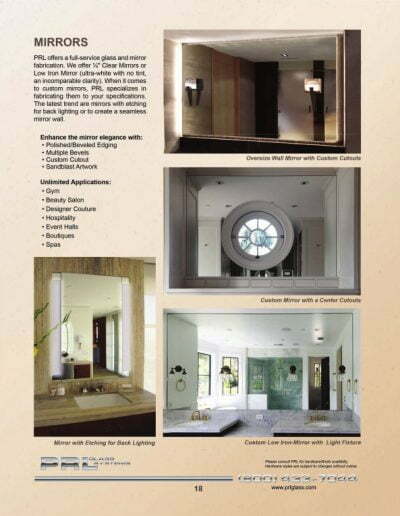 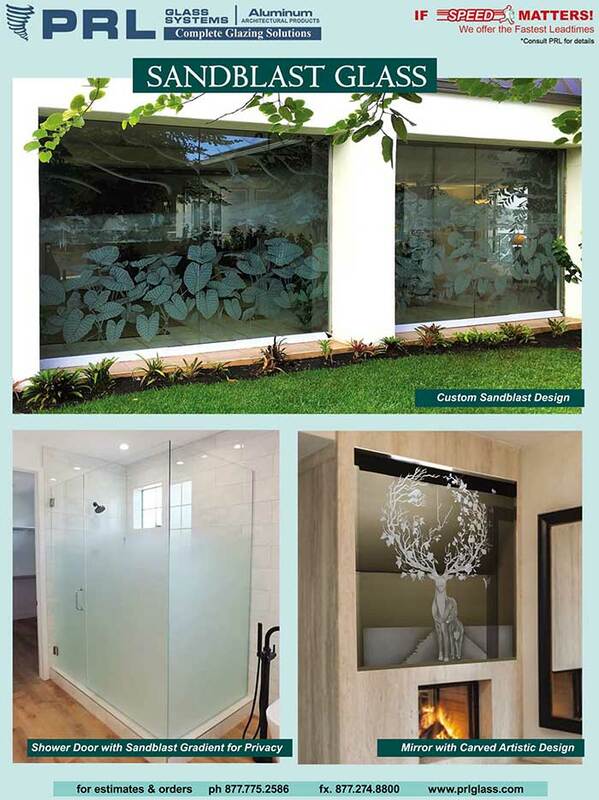 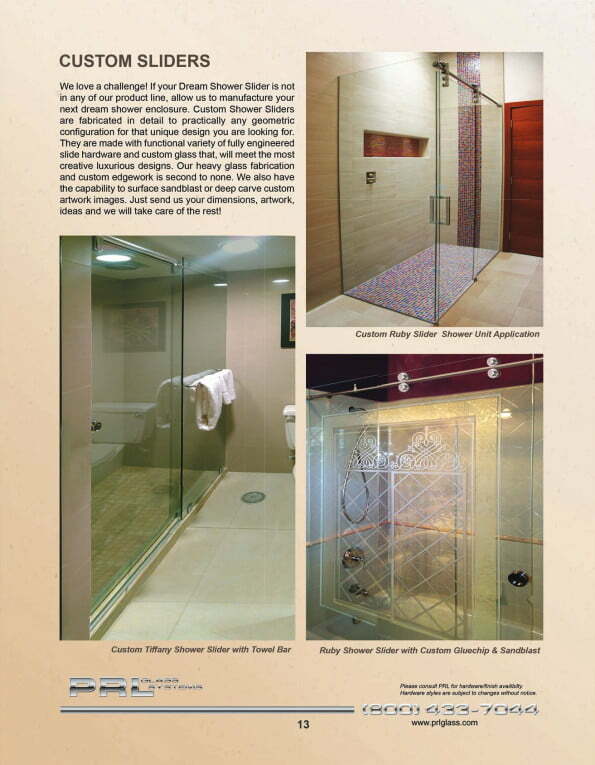 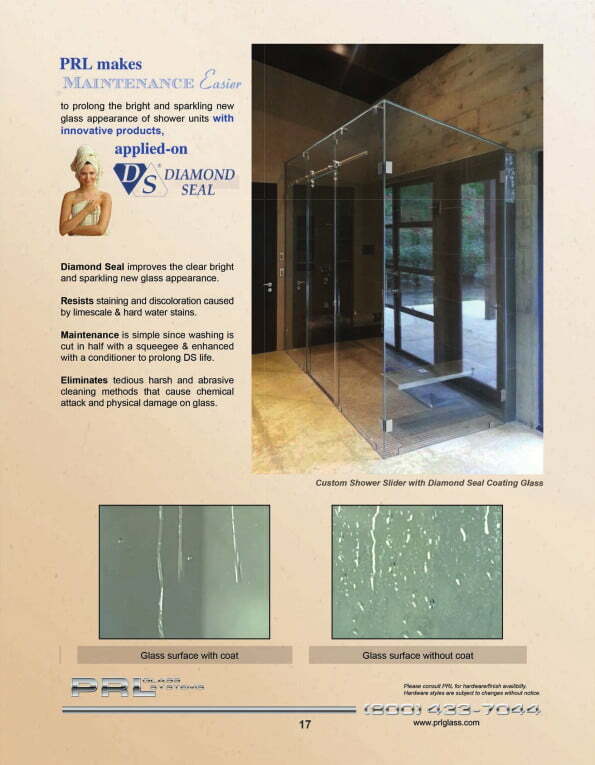 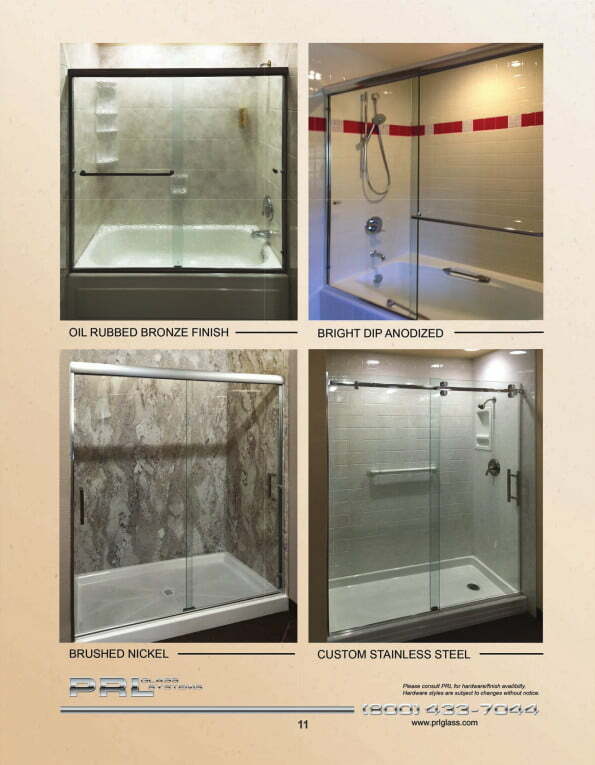 These are some of the reasons why you should consider using only Shower Glass in your shower enclosure projects. 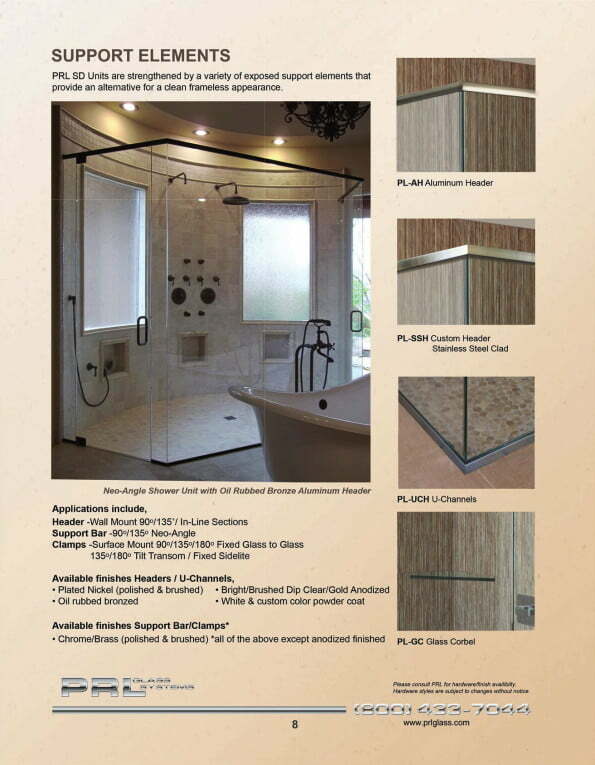 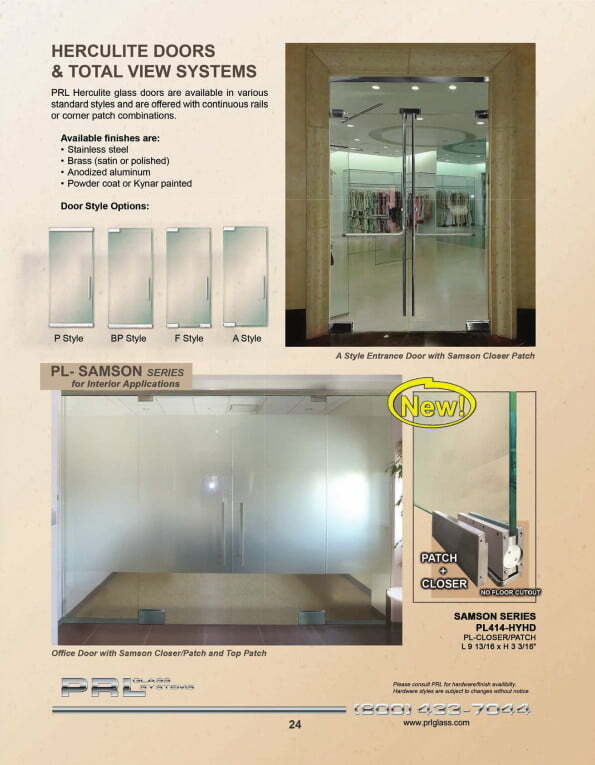 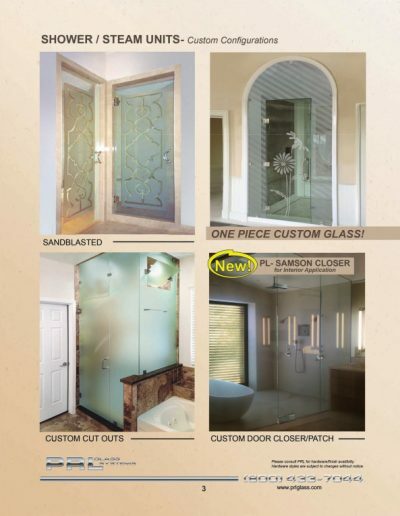 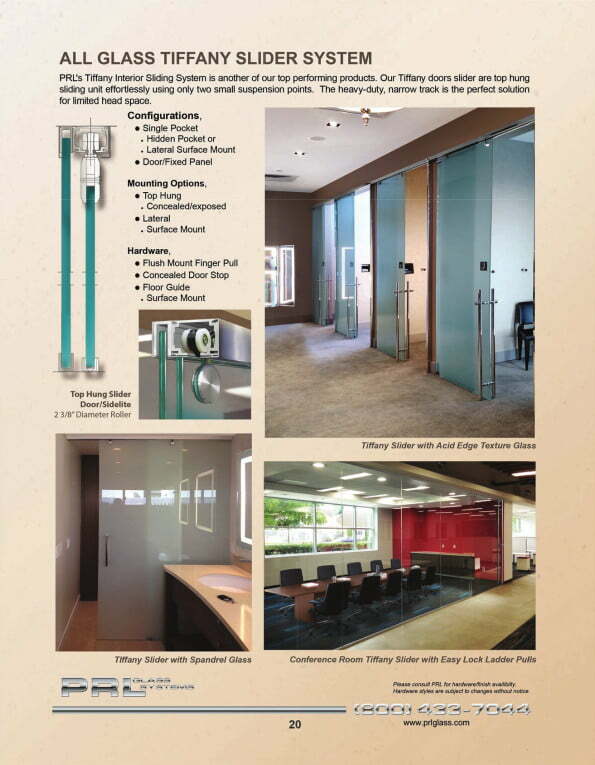 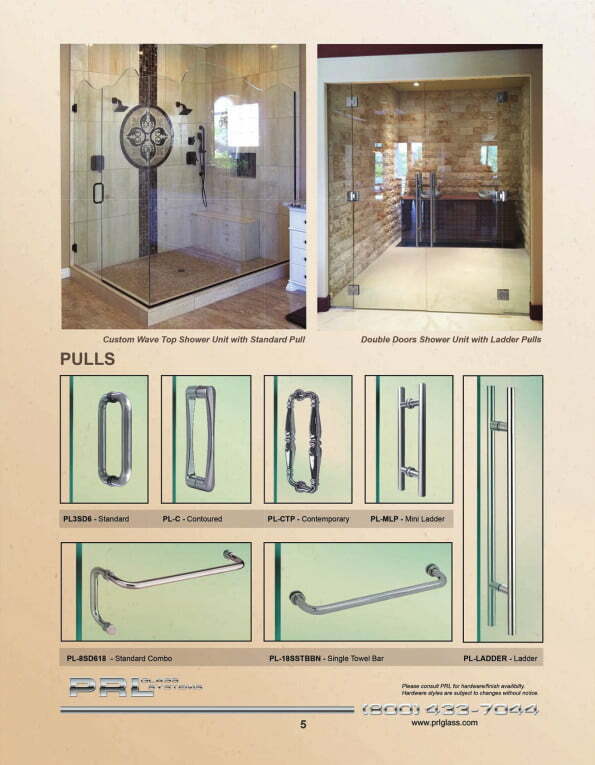 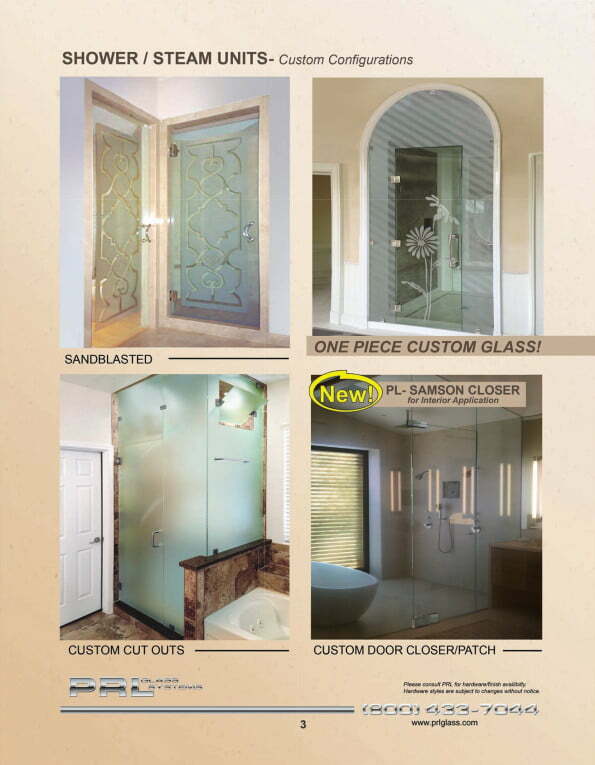 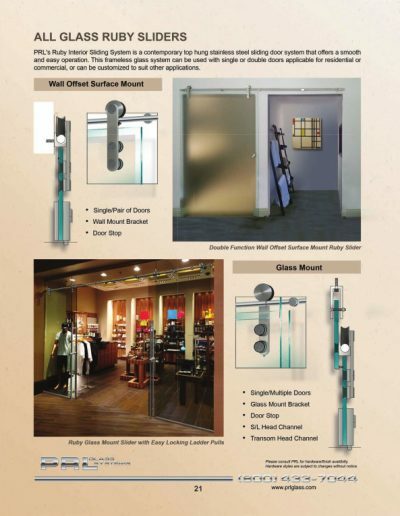 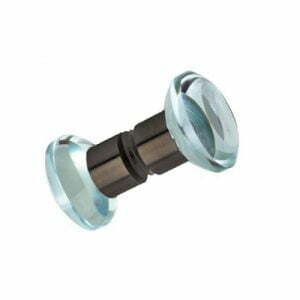 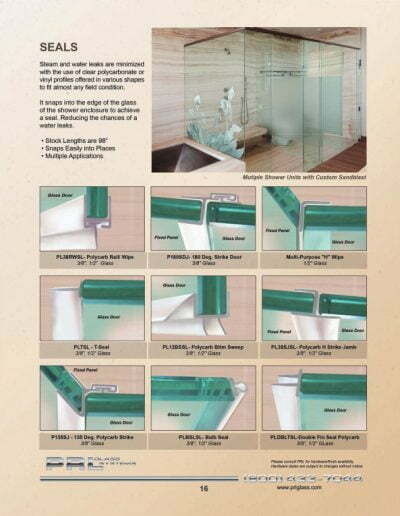 Shower Glass is available in 1/4″, 3/8″ and 1/2″ glass in both clear and low iron. 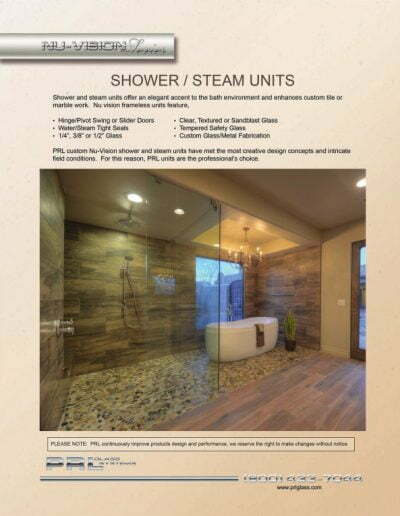 Shower Glass is produced with a permanent protective coating that allows the glass surface to be more resistant to the corrosive action of moisture, humidity and chemicals found in many household cleaners. 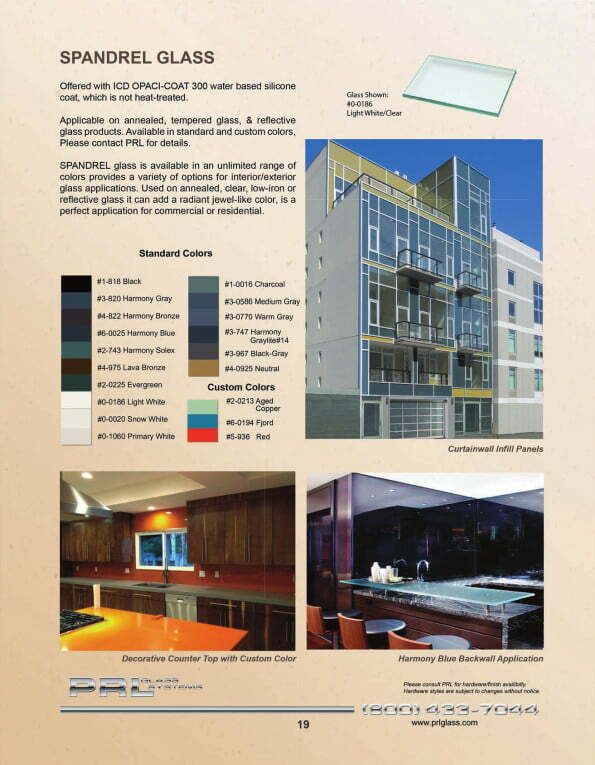 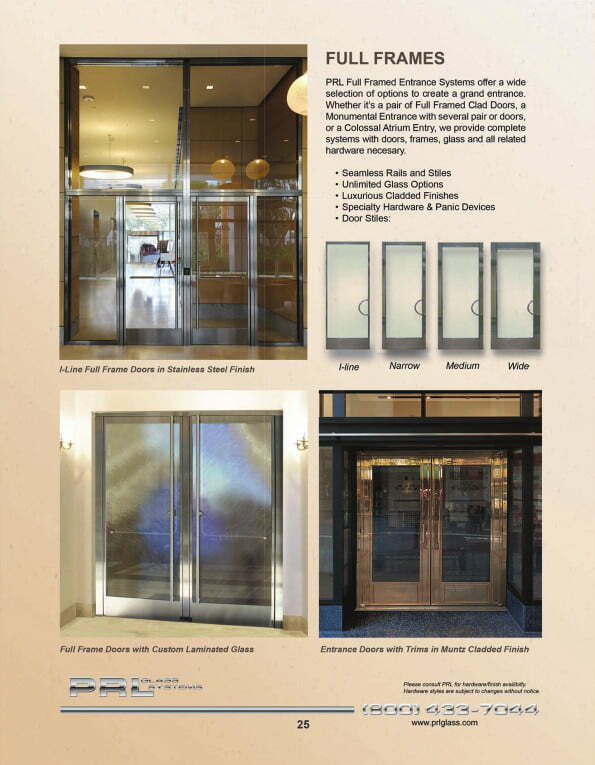 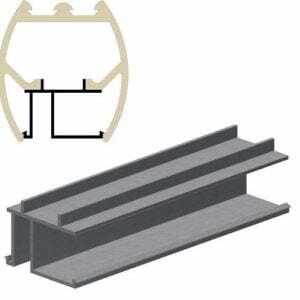 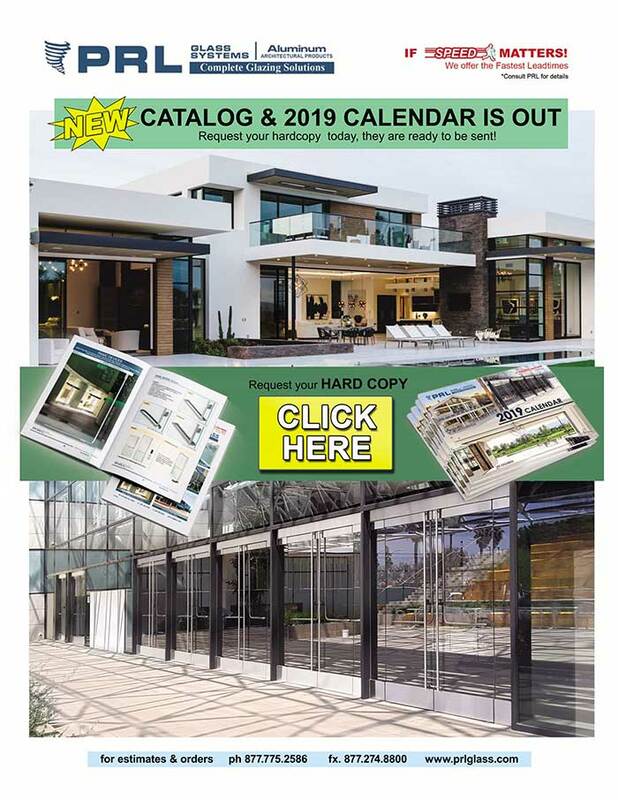 The tempering process activates the permanent protective coating. 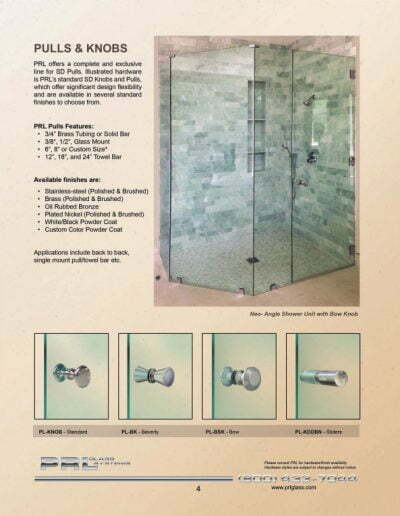 Soap build up, peeling and discoloration will no longer be an issue in shower door units with PRL’s permanent protective coated glass. 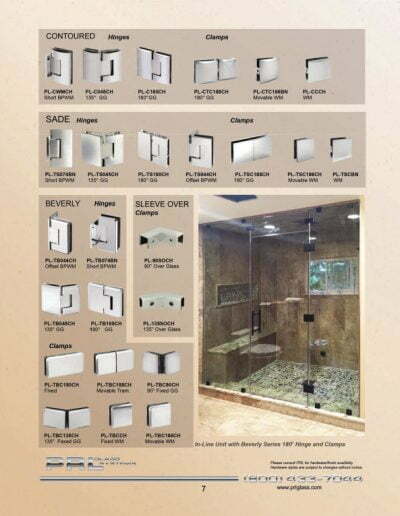 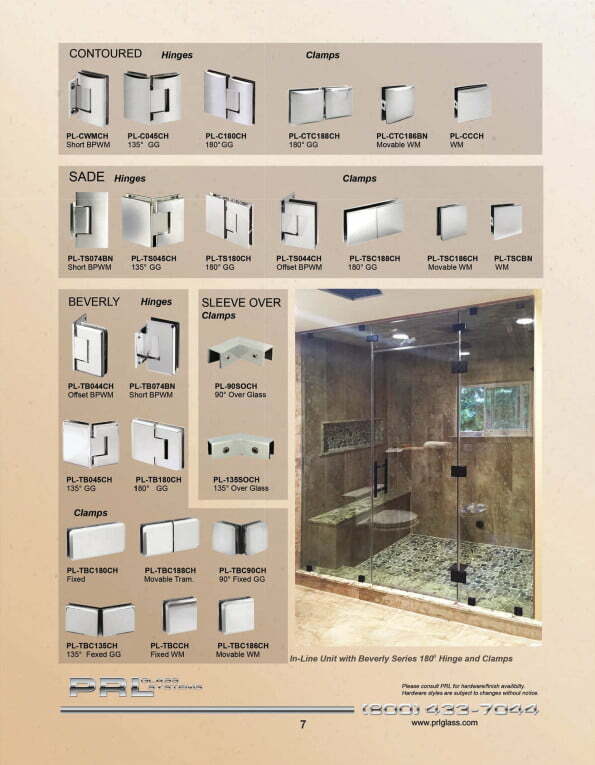 Ultimately Shower Glass is the more suitable option for tub enclosures and shower door units. 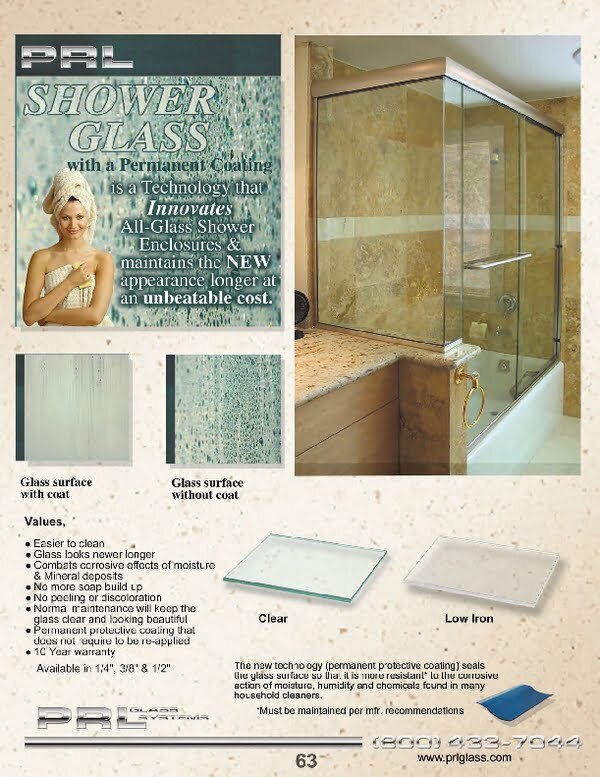 Normal glass-handling procedures can be employed when handling Shower Glass. 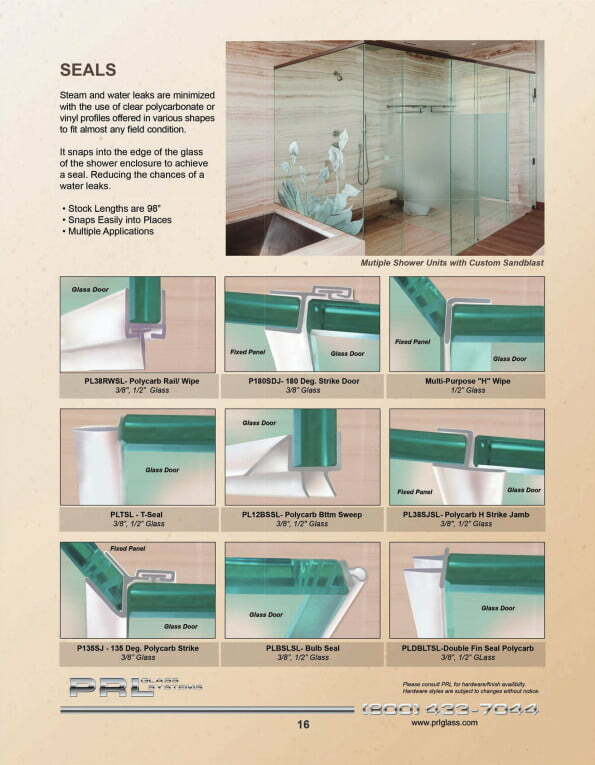 Special glass-handling gloves or equipment are not needed. 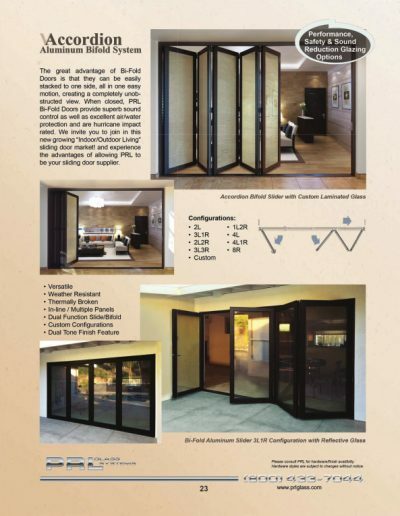 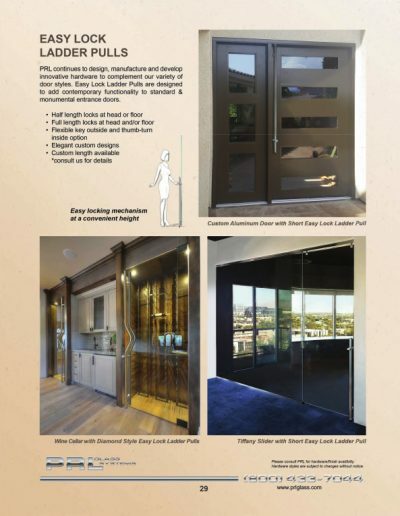 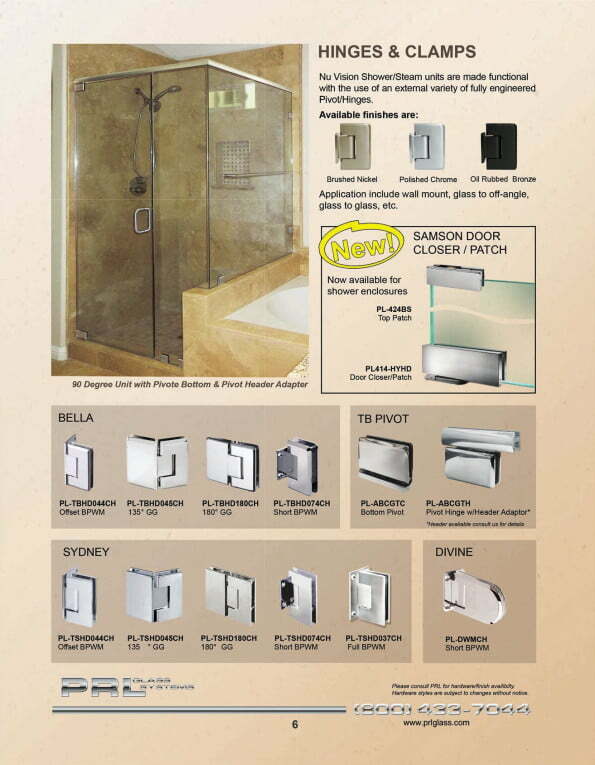 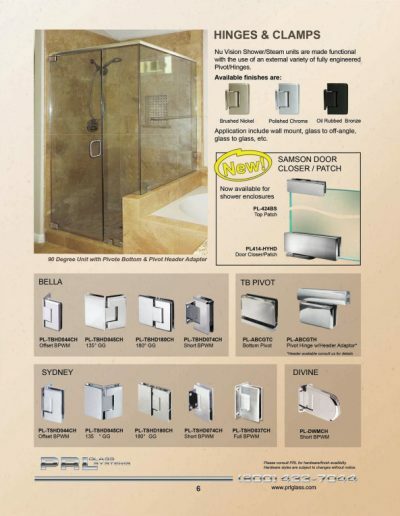 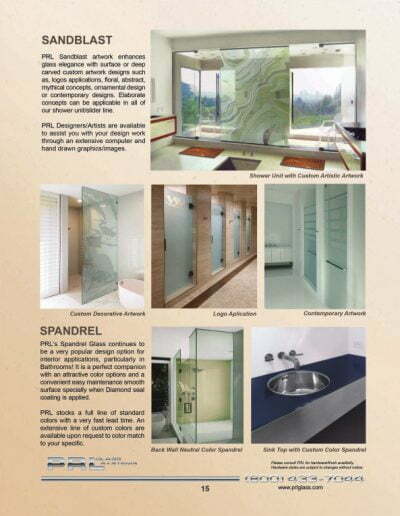 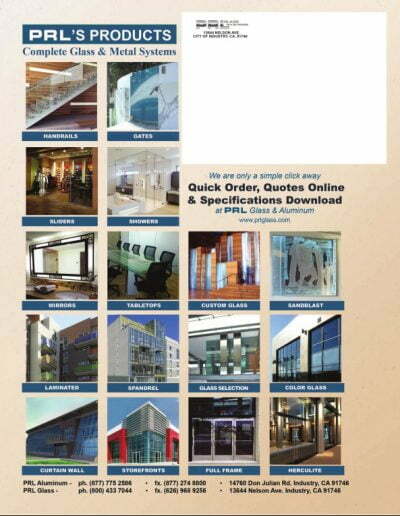 PRL stands behind our product by offering a 10-year warranty on Shower Glass. 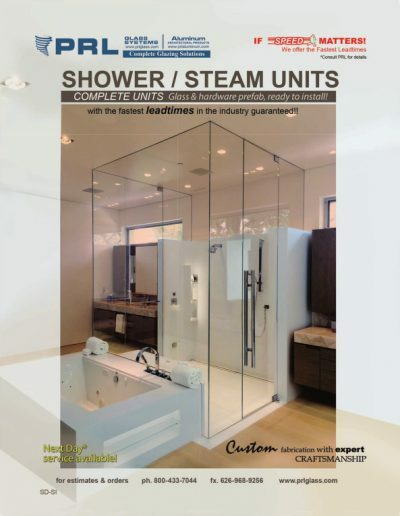 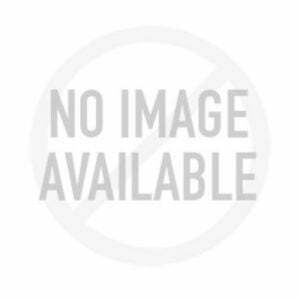 Manufacturers’ recommended cleaning and maintenance guidelines must be followed.